Ella Delyanis was born in New Jersey in 1950 and spent most of her childhood in the rural town of Warren in the center of the state. She enjoyed exploring the woods on her family’s property, which, in hindsight, had some effect on her future career as a landscape painter. Having pursued art as a major in high school, she went on to be a painting major at Boston University where she received solid traditional training in drawing, painting and design. In art school, the figure was the primary vehicle for artistic study. After college she spent some time experimenting with abstraction. This was also when she first used soft pastels as a medium, finding the drawing aspects of it suitable for departing from representational work. The work at times was subliminally reminiscent of landscape. 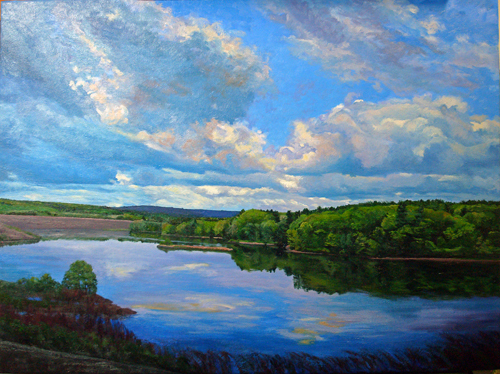 This awareness led her to study the landscape subject, at first north of Boston on Cape Ann, and then in Worcester County Massachusetts when she moved there with her husband in the late 1970’s. 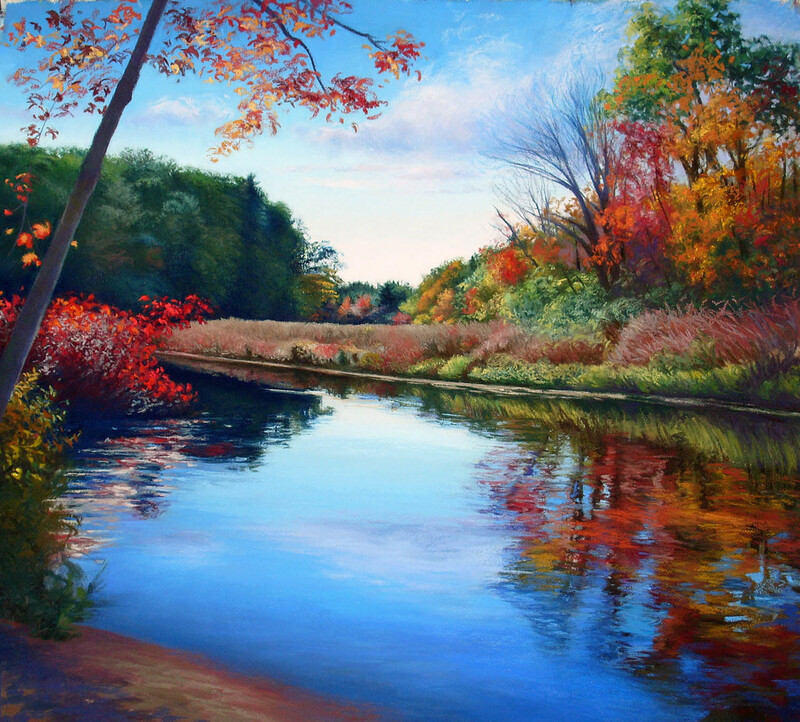 As she explored the beauty of the farmland west of Worcester, over time her work became more realistic. She spent several years painting and doing pastels there; in more recent years she has primarily worked from her own photographs of the landscape, although she also does some sketching outdoors. Ella is primarily interested in the dynamic space and the drama of light seen in the landscape subject. Artistic influences include the Impressionists, the Barbizon School, and the Hudson River School. Ella has taught at the Worcester Art Museum since 1978 where she offers various classes in drawing, painting, and pastel drawing and painting. She has been represented by various galleries over the years. Currently she is primarily represented by Eventide Gallery in Essex, MA and by Silver Circle Gallery in Putnam, CT. She had a one person show at Silver Circle in the spring of 2014. Her work is in many private and corporate collections such as Fidelity Investments and Dunn and Bradstreet. She is a past recipient of a National Endowment Fellowship, a finalist with the MA Artists Fellowship program, and the Kinnicutt Fellowship for foreign travel and study from the Worcester Art Museum through which she explored the towns where the French Impressionists painted.